This is a Custom Crafted Chest of Drawers that will last for generations. It was built to the customers design and dimensions. 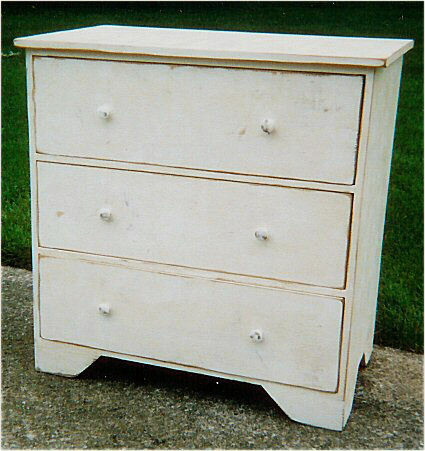 Fashioned of solid Natural Pine with a White Distressed finish, It looks "Old Country." You know what you want. Make a drawing with your dimensions and.